Today Enterprise IT look for a secure, scalable, out-of-the-box, elastic, portable and integrated solution platform which can span across from their highly dense data center to the hybrid cloud. An architectural need of data centers which can cope up with the growth of applications, compute and storage requirements through higher capacity infrastructure and through a higher degree of utilization through virtualization is highly on-demand. That’s just one part of the story.Let’s not disagree with the fact that even though we have complex architectural design & protocol today , the rise of simplified approach towards the application life cycle management, enterprise-grade resiliency, provisioning tools, security control and management has become a subtle requirement. Open Source containerization is foreseen as one of the hot storage technology trend in 2017. Key areas like Docker Persistent Storage, Data Protection, storage consumption and portability of microservices are expected to grow on-demand in coming years.”Storage growth automatically aligned with application needs” is emerging as the next bridge to cross for enterprises IT. 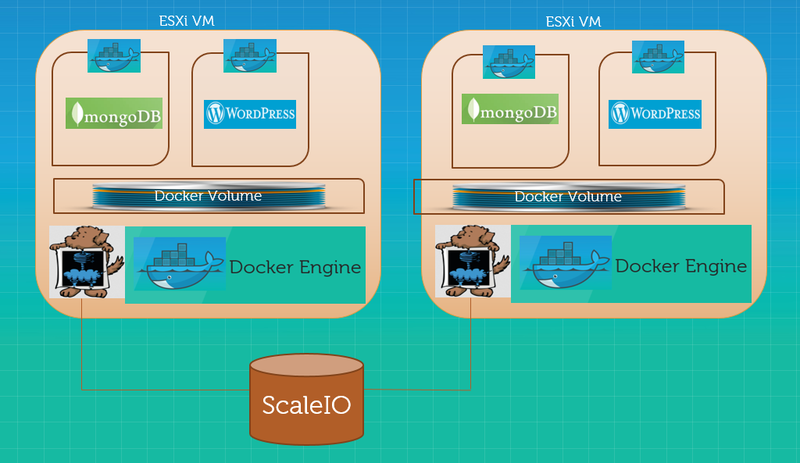 The integration of Docker, ScaleIO & RexRay is a perfect answer and solution for Enterprise IT and cloud vendors who have been wrestling with Docker persistent storage immaturity. 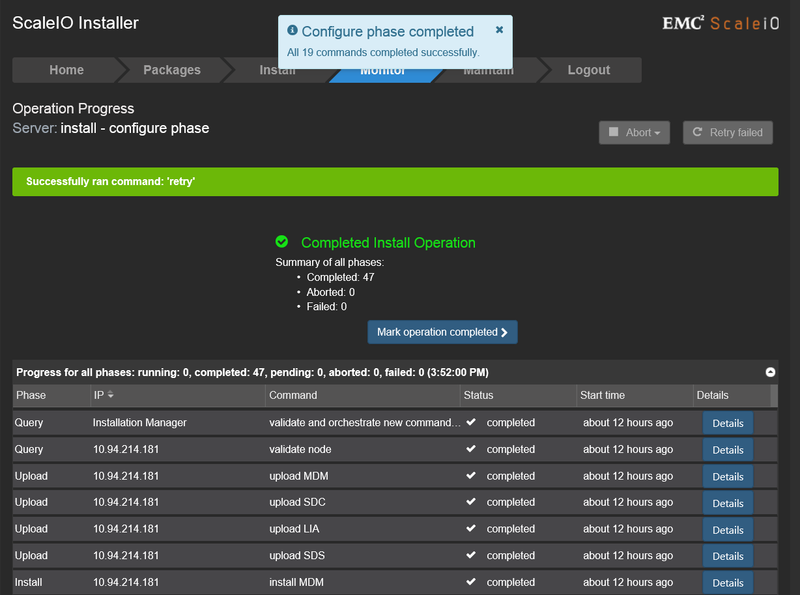 Why is ScaleIO – a perfect choice? DellEMC ScaleIO is a software that creates a server-based SAN from local storage to deliver performance and capacity on-demand. In a simple language, it turns your DAS to the server SAN. ScaleIO integrates storage and compute resources, scaling to thousands of servers (also called nodes). As an alternative to traditional SAN infrastructures, ScaleIO combines hard disk drives (HDD), solid state disk (SSD), and Peripheral Component Interconnect Express (PCIe) flash cards to create a virtual pool of block storage with varying performance tiers. One attractive feature of ScaleIO is – It’s hardware agnostic and supports either physical or virtual application servers. 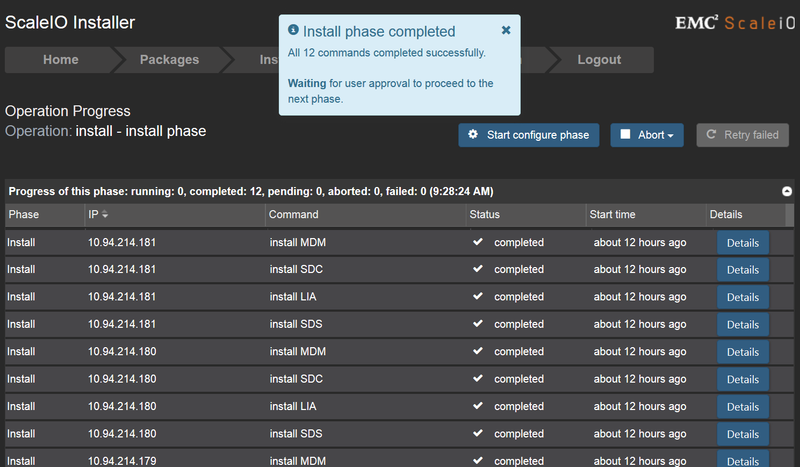 This gives you the flexibility of implementing it on bare metal, on VMs and on the cloud. 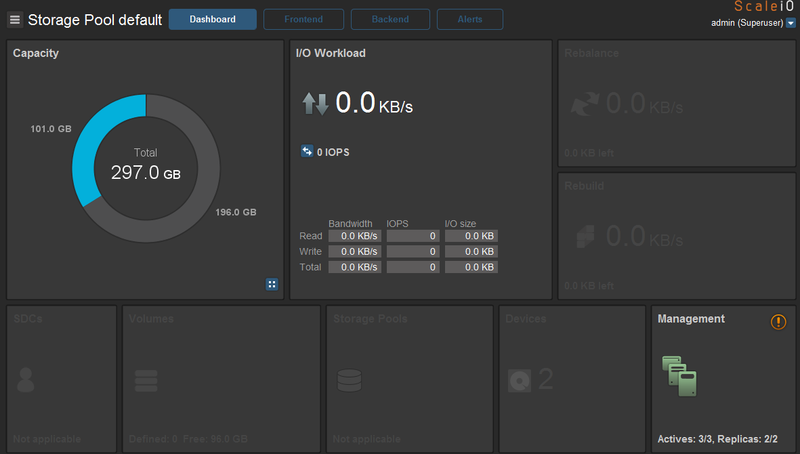 ScaleIO brings various enterprise-ready features like Elasticity(add, move, remove storage and compute resources “on the fly” with no downtime), no capacity planning required, massive I/O parallelism, no need of array, switching and HBAs, storage auto-rebalancing, simple management UI and much more. 1. 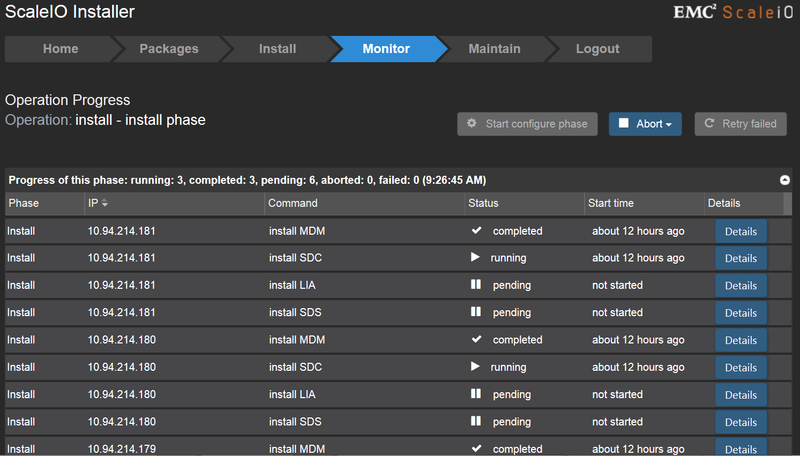 ScaleIO Meta Data Manager (MDM) – It configures and monitors the ScaleIO system. 2. ScaleIO Data Server (SDS) — It manages the capacity of a single server and acts as a back-end for data access. 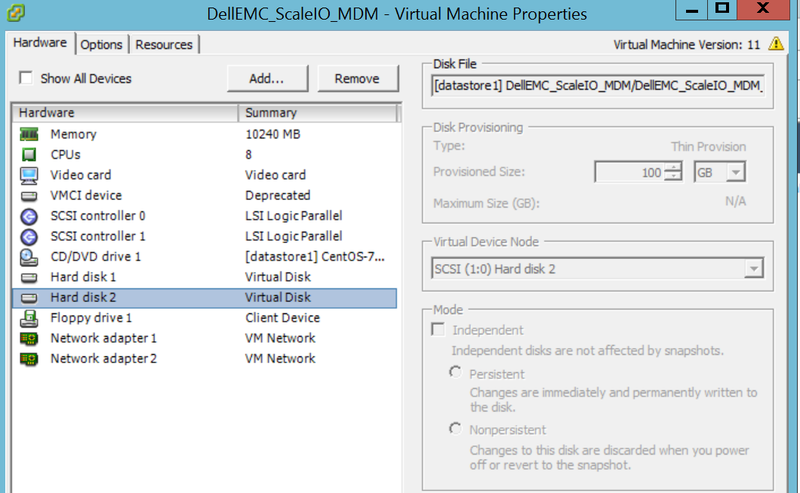 This component is installed on all servers contributing storage devices to the ScaleIO system. 3. ScaleIO Data Client (SDC) — It is a lightweight device driver situated in each host whose applications or file system requires access to the ScaleIO virtual SAN block devices. The SDC exposes block devices representing the ScaleIO volumes that are currently mapped to that host. Generally, the MDM can be configured as a three-node cluster (Master MDM, Slave MDM and Tie-Breaker MDM). or as a five-node cluster (Master MDM, 2 Slave MDMs and 2 Tie-Breaker MDMs) to provide greater resiliency. In my previous blog post, I talked about how to achieve Docker persistent storage using NFS & RexRay on AWS EC2. 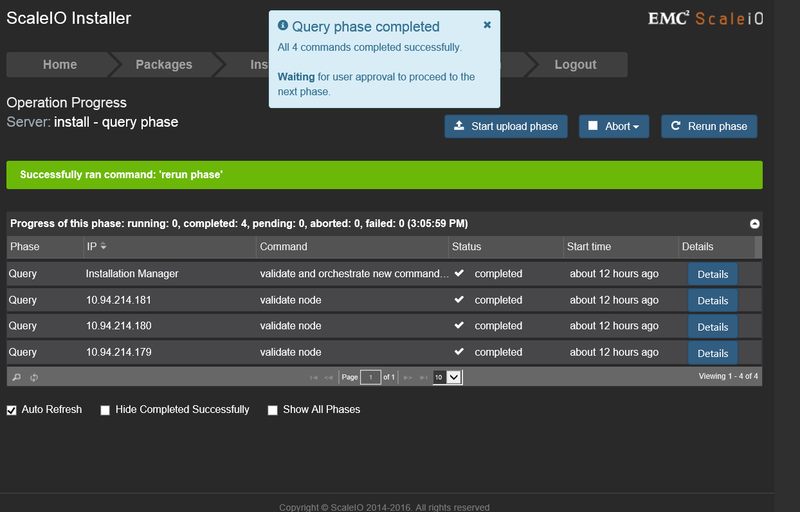 Under this blog, I am going to demonstrate how to achieve enterprise-grade Docker persistent storage platform with ScaleIO & RexRay. 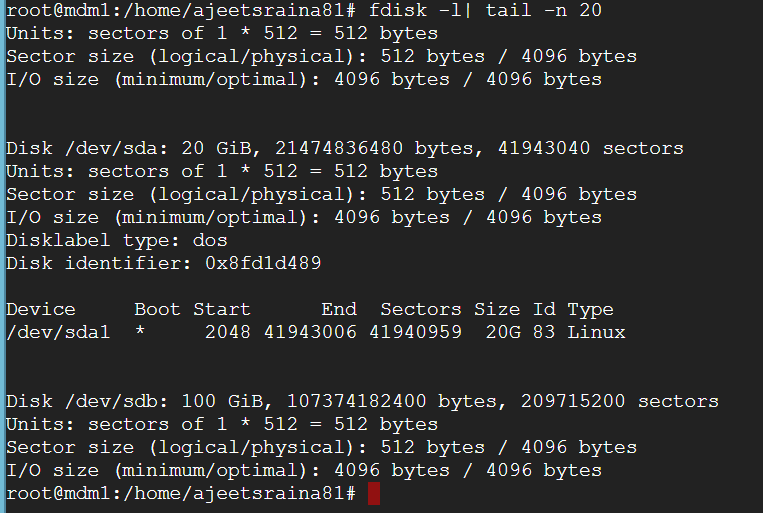 As a pre-requisite, I added 2nd Hard Disk(secondary disk) on all the VMs of size 100GB. 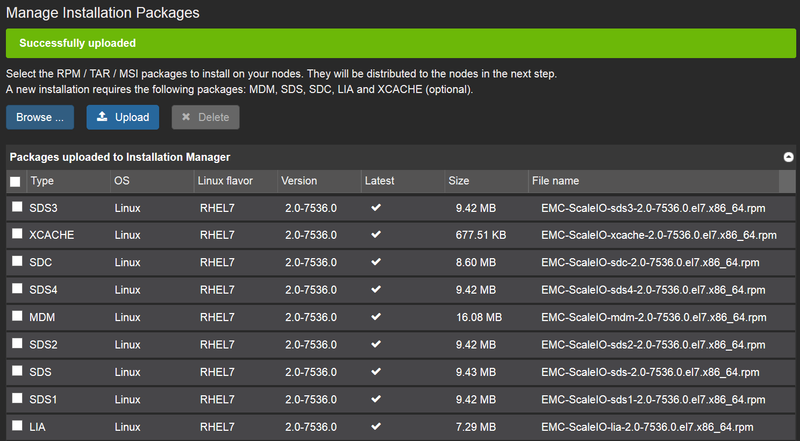 (Please note that ScaleIO expects at least 90GB of raw disk on all the nodes). I ensured that all the nodes are reachable and are on the common network. 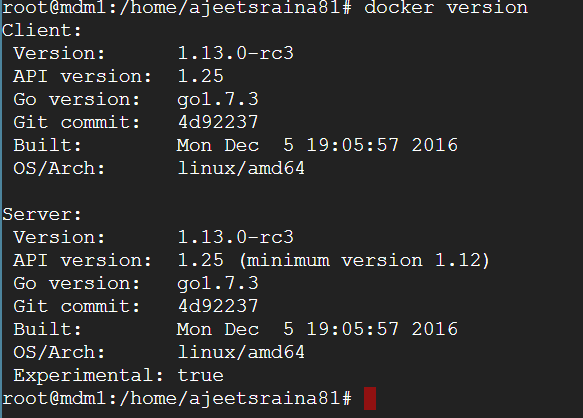 A Good News for Docker enthusiasts : Docker Team has enabled long awaiting Logging feature in upcoming Docker 1.13.0 release. Under Docker 1.13.0-rc3, one can use docker service log <service name> to view the logs for a particular service spanned across the cluster. 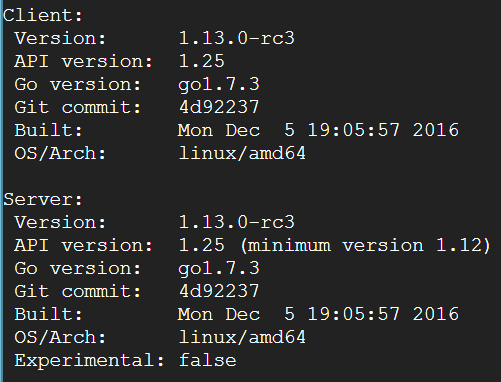 Logging doesn’t come with the default Docker 1.13.0 installation. One has to enable experimental: true to get it working.Let us enable experimental feature so that we can leverage the latest features of Docker 1.13. Next, let’s install the ScaleIO Gateway Server using Docker container.The Gateway basically includes the Installation Manager (IM), which is used to deploy the system. Cool. It was so simple to setup…Isn’t it? 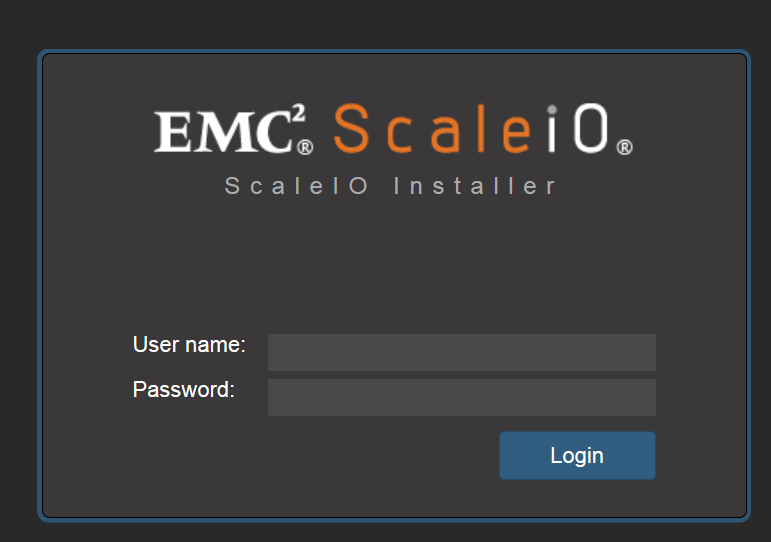 Supply admin as username and Scaleio123 as a password to enter into the Gateway Server UI. As we have 3-node setup, let’s go ahead and select the right option. You have option of importing .CSV file too. 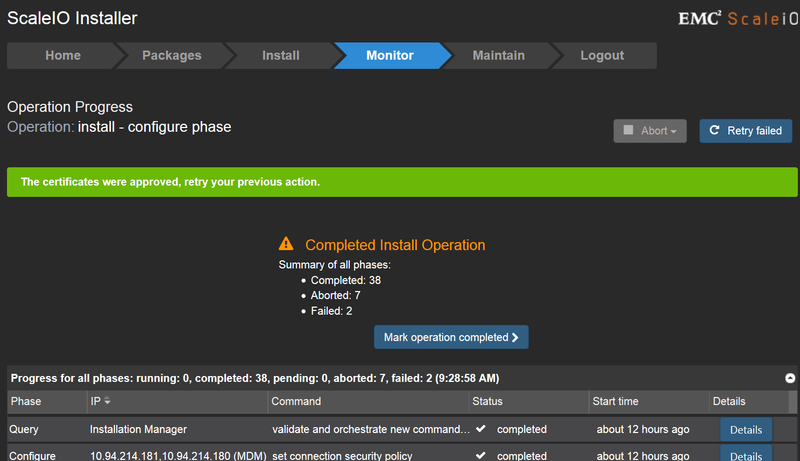 Ensure that the status shows “Completed” without any error message. Please note: In case you are trying it on Cloud, you will need to ensure that public keys are in place. As shown above, there is total of 297GB capacity which is aggregate of all the secondary HDDs added to the VMs during the initial setup. PLEASE NOTE: System ID and System Name are important entries and must not be missed out for RexRay to talk to ScaleIO driver. I created a default volume through Scale UI. Let us verify if Rexray detected the volumes successfully. 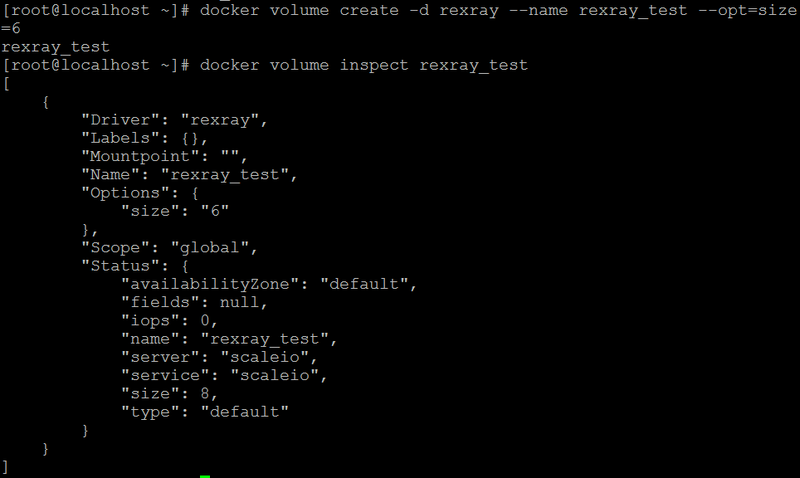 As shown above, the docker volume inspect command shows that RexRay is using ScaleIO service. Let us setup 2-node Swarm Mode cluster( MDM2 and TB) and see how microservices running inside Docker container uses ScaleIO + RexRay enabled volume. I assume that you have 2-node Swarm Mode cluster already built up and running. As shown above, I have added a label to nodes so that the containers or task to be pushed to MDM2 and TB accordingly. We will be using “mongodb1” volume for our microservices. 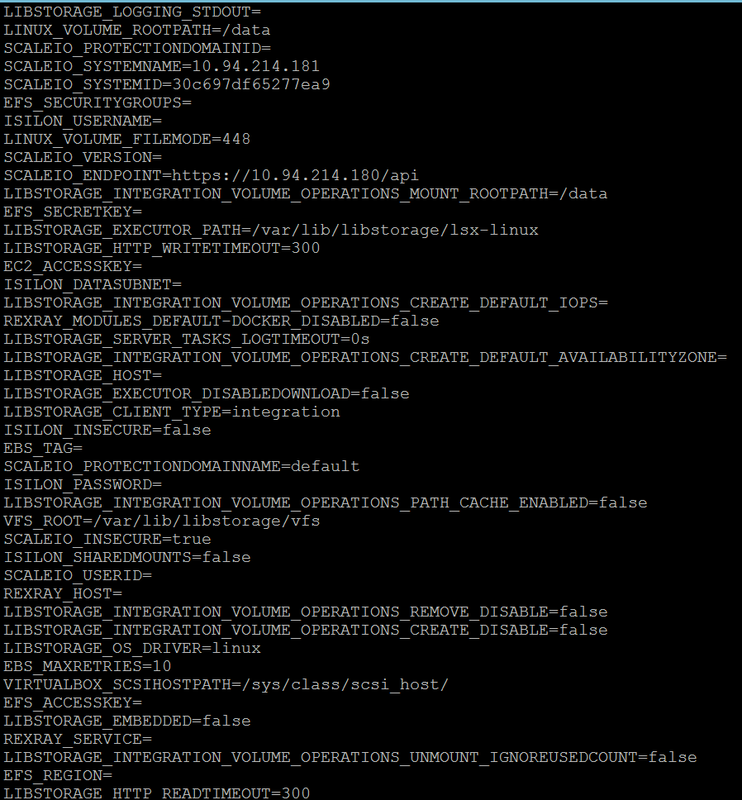 The below entries shows that the container is using RexRay driver for persistent storage. In the next blog post, I will be talking further on how can one containerize all the ScaleIO components and use tools like Puppet/Chef/ Vagrant to bring up RexRay + ScaleIO + Docker 1.13 Swarm Mode – all integrated to provide persistent storage for Microservice architecture.